Welcome to La Cigala in Los Roques! 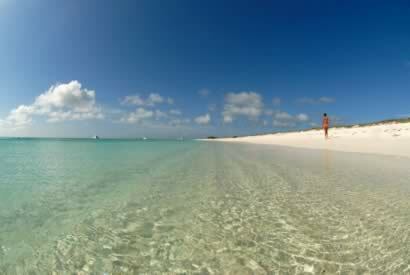 Los Roques offers some of the most breathtaking and unspoiled scenery in the Caribbean. Here, the calm rhythm of nature invites you to slow down and to forget the rituals of your daily city life. At Posada La Cigala you will find a blend of services that accentuate the comfort of simple things with extraordinary attention, exquisite food, refreshing drinks, and a famously friendly atmosphere. La Cigala is located on the main sandy street on the entrance to town, across from the beach and its colorful fishing boats. This ideal location provides great sunset views, constant trade winds, and close proximity to the central plaza where you'll find tiny shops and lively social gatherings. 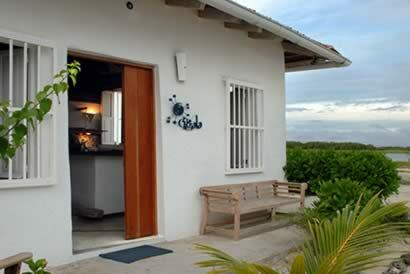 La Cigala has 8 rooms, two beautifull terraces in teak overlooking the sea. The living area is spacious, with high ceilings, and a courtyard with two coconut trees. with new and traditional dishes.At posada La Cigala you'll find an ambiance that is very friendly, comfortable, unpretentious, and relaxed. Cigala's team looks forward to welcoming you to this special place they call home. Their experience and dedication will guarantee that the time you spend in Los Roques will be both enormously enjoyable and memorable. Enrique and Liana are fluent in Spanish, Italian, English, and French. Enrique and Liana Ducournau have been making Los Roques their home for nearly 15 years. Their love for this special place, and respect for its delicate balance, is reflected in the way they share their home and welcome their guests. Enrique is a seasoned sailor who has been spending time in Los Roques since his childhood. For several years, prior to opening La Cigala, Enrique and Liana provided chartered services to tourists aboard their sail boat, "La Marie Galante". Enrique and Liana have assembled an impressive staff that is highly attentive and responsive to the individual needs of all guests. Their services have been acclaimed in "Rum and Regae", "Travel & Leisure", "the Guardian", "the Sunday Times", "Le Figaro", "Viagem", "Panaorama Travel" , and several magazines and travel publications.